Glad you are going to rereleased the megapack. Only two days left. Thanks for all the support so far! Is it over? Cant believe I missed this! Happy Anniversary Carl. Running any business for 20 years is a big deal. Congrats. Note that this one is 3D printed instead of professionally molded, due to a mold incompatibility with the saved data EEPROM on MegaPak. The edges are not as straight and clean as the pro mold, but going the 3D printing route allowed me to preserve the EEPROM functionality for Lynx fans. Hopefully everyone will appreciate that. 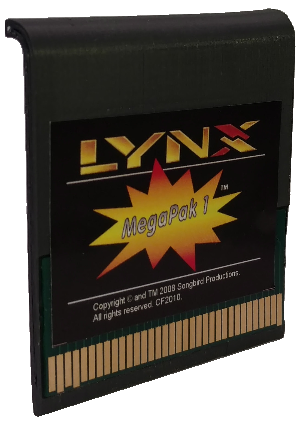 Anyway, overall, I'm happy with the cart presentation, and it's a big step up from the plain black PCB release I did 11 years (!) ago. To test the waters with this alternate process, I am only making 25 of these carts. 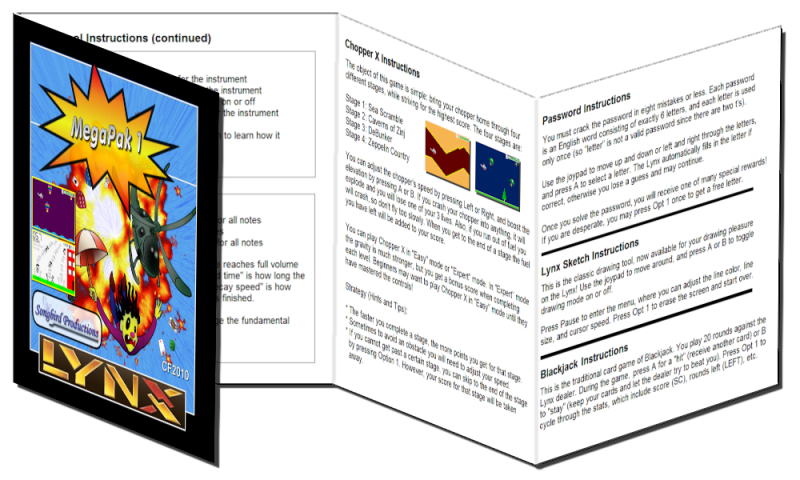 The last piece I need are new booklets, and those should arrive in a couple weeks from the printer. Stay tuned for the release in March 2019! Nice interview Carl, and congratulations on Songbird's 20-year anniversary! I definitely need to bump this announcement!